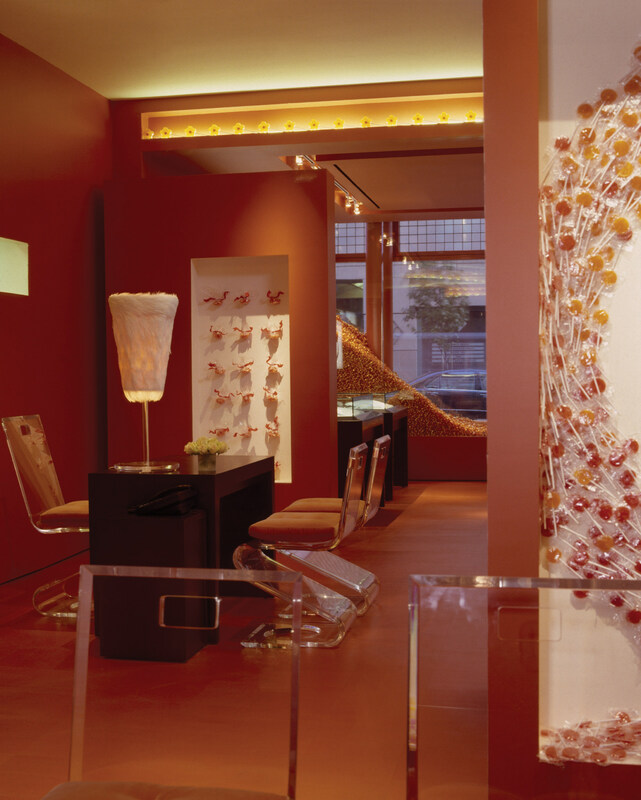 On the heels of the attack of September 11, 2001, we were designing a Pop-Up store for the French jeweler to promote their new “Delice de Cartier” Collection. 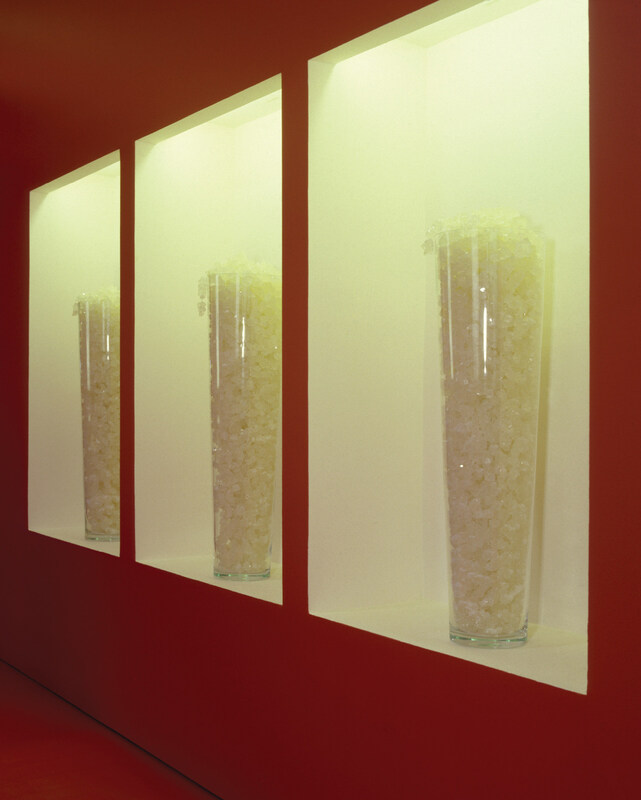 The concept for the store is the joy of candy. 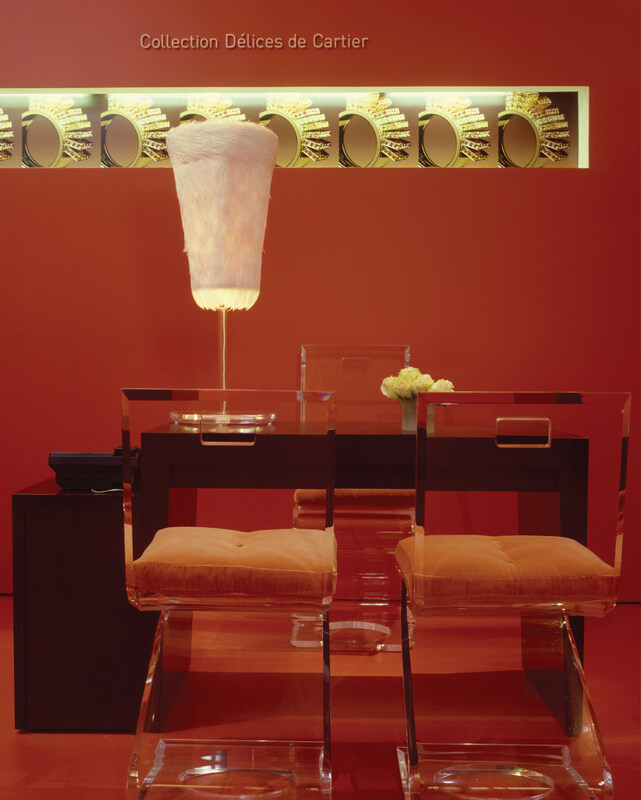 We bought the entire supply of that shade of orange candy in Manhattan at the time, custom made a rubber floor to match and created a monochromatic interior to display the collection. 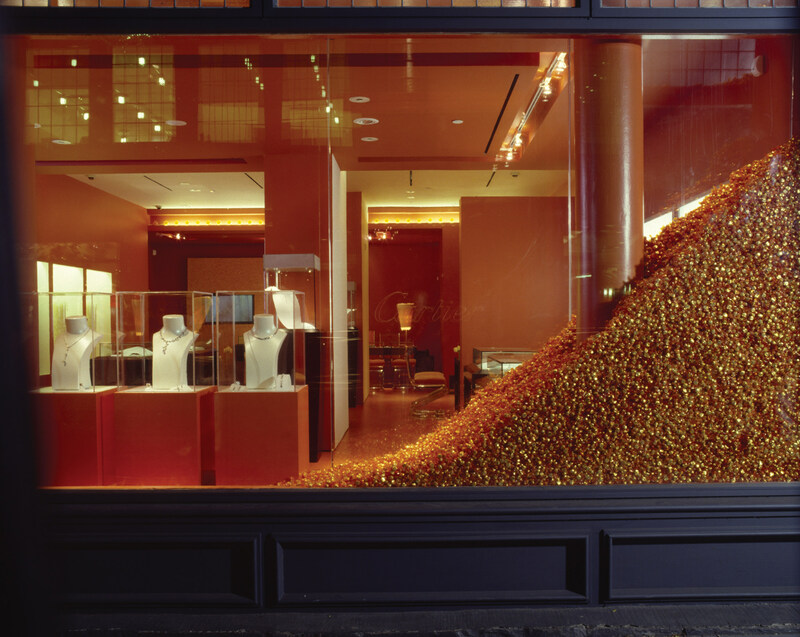 The window display, inspired by Felix Gonzalez Torres’ work, attracted all the trick-or-treaters in SoHo the night of the installation, Halloween night. 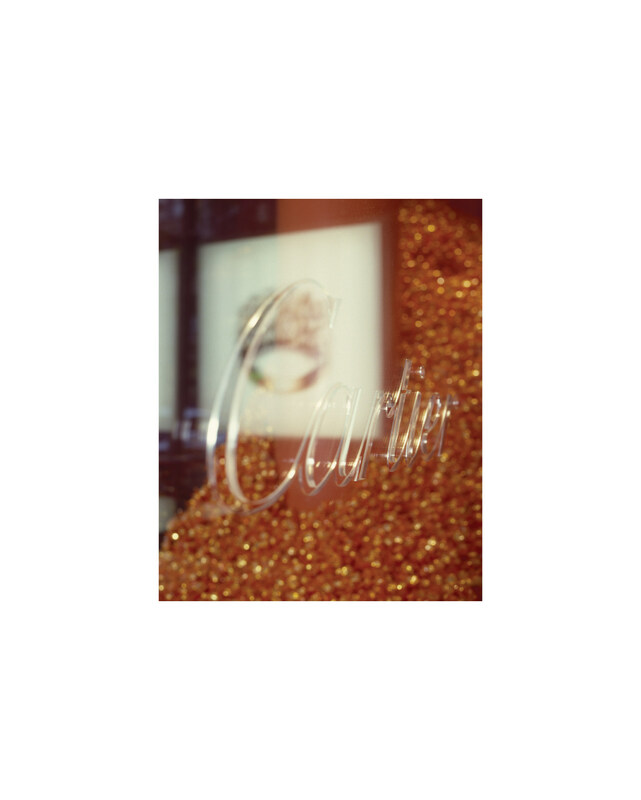 With everything going on at the time, Cartier was brave enough to open the store November 1st and it was a great success. 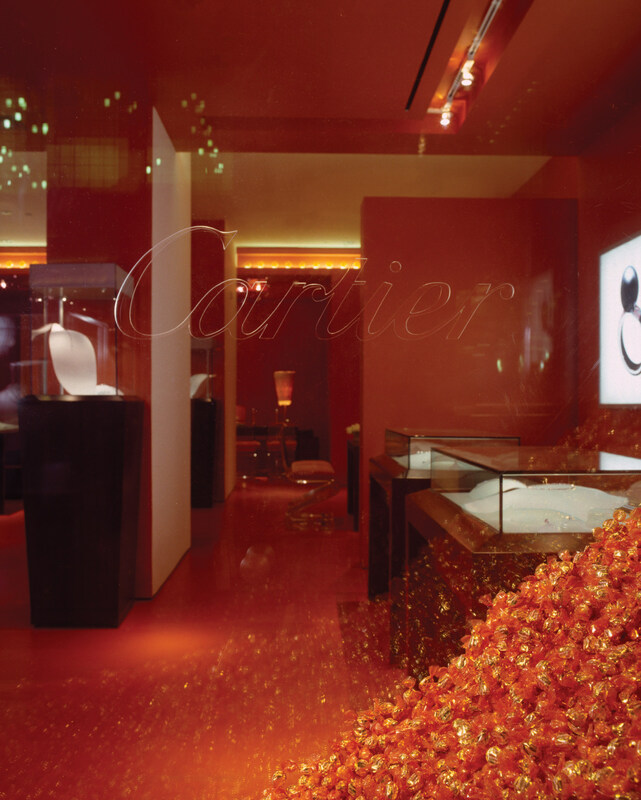 For three months we changed Cartier red to Cartier orange.